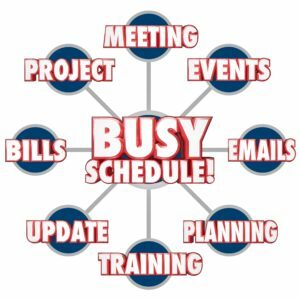 We know life gets busy and the last thing you need is to worry about another bill to pay. So we have come up with a solution. We offer four monthly plans to make paying for your service easy and convenient! You will have an initial fee on your first visit. We can usually give you the price for the initial fee right over the phone. After that you will have easy monthly payments that are automatically drafted from a debit or credit card. So no need to worry about whether you paid your bill or not, it is taken care of! Our first plan includes the Home Plus Service. With this service, you will receive quarterly treatments that cover house ants, spiders, indoor fleas, pantry pests, roaches, beetles, rodents and most other household pests. With this plan you are guaranteed. So, if you have any problems in between visits, return trips are included at no additional charge. There will be an initial fee for your first visit, ranging from $75.00-$100.00. After that you will pay $25.00 per month, starting the month after your first visit. This price covers up to a 3,000 square foot home, we will need to quote any home larger than that. This is a yearly contract. This plan does not cover bed bugs or termites. Our second plan includes the Fire Ant Management Service. This service protects your yard with a proven combination of bait and spray. This plan is also guaranteed. So if you are having problems in between visits, we will return at no additional charge. There will be an initial fee for your first visit, which is usually $100.00 for a yard up to one acre. After that you will pay $20.00 per month, starting the month after your first visit. This price is for up to one acre, we will need to quote any area larger than that. This is also a yearly contract. Our third plan is a package deal that offers a great discount, it is called the Eastland Advantage Pack. It includes everything offered in our Home Plus Service plus everything offered in our Fire Ant Management Service. There will be an initial fee for your first visit, which ranges from $100.00-$150.00, depending on the size of your yard. After that you will have monthly payments starting the following month. The monthly payment for this plan is $35 per month for most homes with an acre or less to be treated. We will need to quote any area larger than that. Our last plan includes our Termite Service. If you choose us for your termite treatment, we make paying for your annual renewal easy. We will break down your renewal into monthly payments that will be automatically drafted just like in our other packages. When your annual inspection comes up you will have the peace of mind that your renewal is paid in full and you are completely covered! Making your monthly payments is also convenient. We set up these payments to be automatically drafted from a debit or credit card. You can have the payments come out on either the 5th or the 25th of each month, whichever is most convenient for you.